Local beer and local art? Now that’s a great pairing. 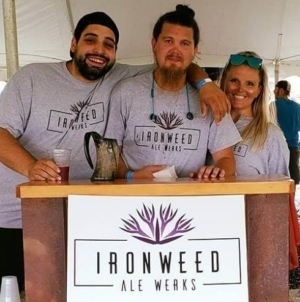 This February the Ocean City Center for the Arts celebrates the talents of local Eastern Shore artists, and Shore Craft Beer will be at the First Friday reception to kick off FeBREWary on the Shore. 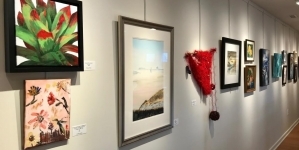 The public is invited to meet the artists at the free opening reception on First Friday, Feb. 2 from 5 – 7 p.m. at the Ocean City Center for the Arts on 94th St. bayside. Waterman’s Inn Catering from Crisfield will be serving complementary hors d’oeuvres. 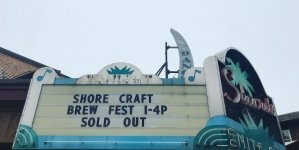 The Shore Craft Beer team will be on hand to pour samplings of local craft beer and to provide information about upcoming tastings and events happening throughout the month of FeBREWary. Wander through the galleries and explore all the local creative talent that the Shore has to offer as you sip on a locally-crafted beer. The exhibits at the Center for the Arts change every month, and the local breweries are constantly turning out new and unique brews, too. Seascape painting by Teri Edgeworth. As for the exhibits, photographers Dave Messick and Simona Calin will share the Thaler Gallery this month. 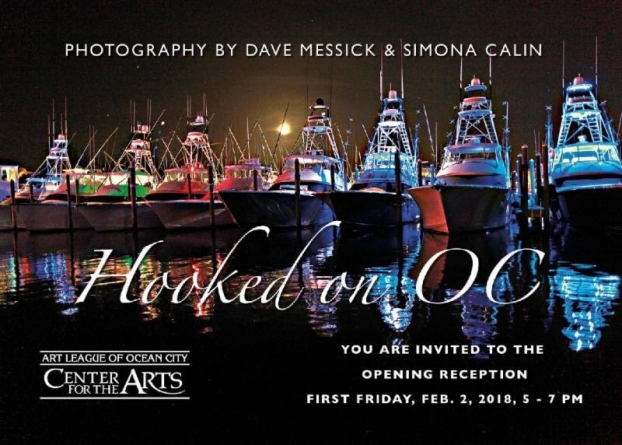 Their nature photography, depicting images of the fishing and boating community in Ocean City, will be on display through Feb. 24. Messick is a native of Cambridge and Ocean City who has been making films since middle school. He produces the “Beach & Beyond” and “Hooked on OC” television shows that air weekly on WMDT. He currently works out of his studio in West Ocean City that he shares with Calin, who majored in art and theater in her native Romania. Watercolor painting by Kathy Bohs. 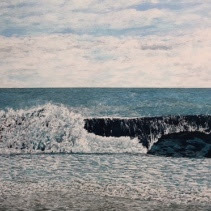 Upstairs, Studio E will be occupied by painter Teri Edgeworth, who is based both in Ocean City and Lancaster, Pa. Edgeworth is a seascapes and bay scene artist working in acrylics who recently received an award from the Governor of Delaware. One of her paintings was chosen for the Wetlands Convention brochure cover. In the Spotlight Gallery, Kathy Bohs of Selbyville will display her watercolor paintings. Bohs paints things that catch her eye including animals, flowers, skies, beaches and food. 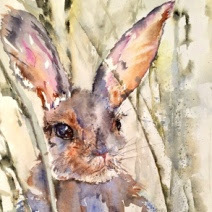 She teaches a monthly watercolor class at the Arts Center. Sea glass jewelry by April Goodman. 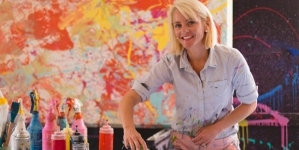 The Artist in Residence this month is April Goodman of Hooper’s Island. 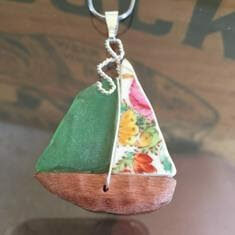 Goodman specializes in designing sailboats out of the sea glass that she finds near her home. 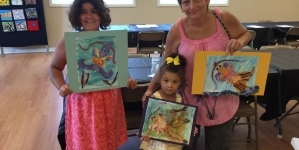 The Ocean City Center for the Arts at 502 94th Street is the home of the Art League of Ocean City, a non-profit organization dedicated to bringing the visual arts to the community through education, exhibits, scholarship, programs and community art projects. Financial support comes primarily through membership dues from individuals and corporate sponsors. Funding for exhibits is also provided by the Community Foundation of the Eastern Shore, the Worcester County Arts Council, Maryland State Arts Council, and the National Endowment for the Arts, organizations dedicated to cultivating a vibrant cultural community where the arts thrive. We’ll get through these six more weeks.